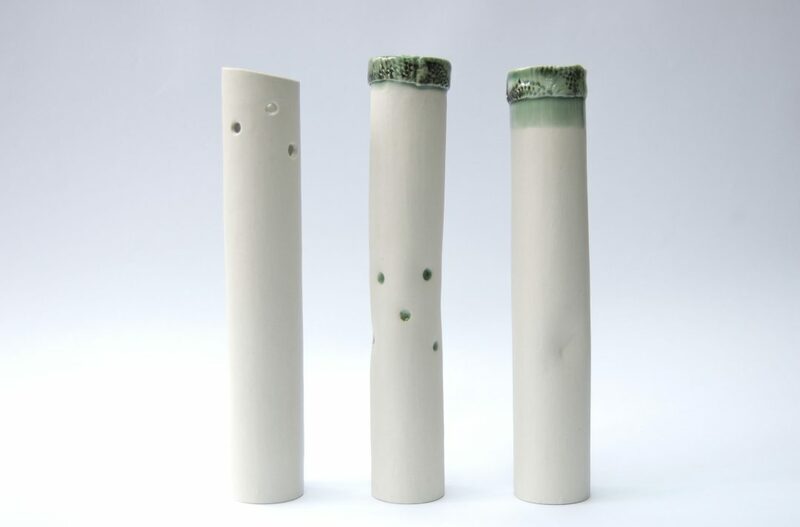 My work is inspired by the surrounding New Forest, archaeological finds and ancient ceramics and has a textured and organic exterior. 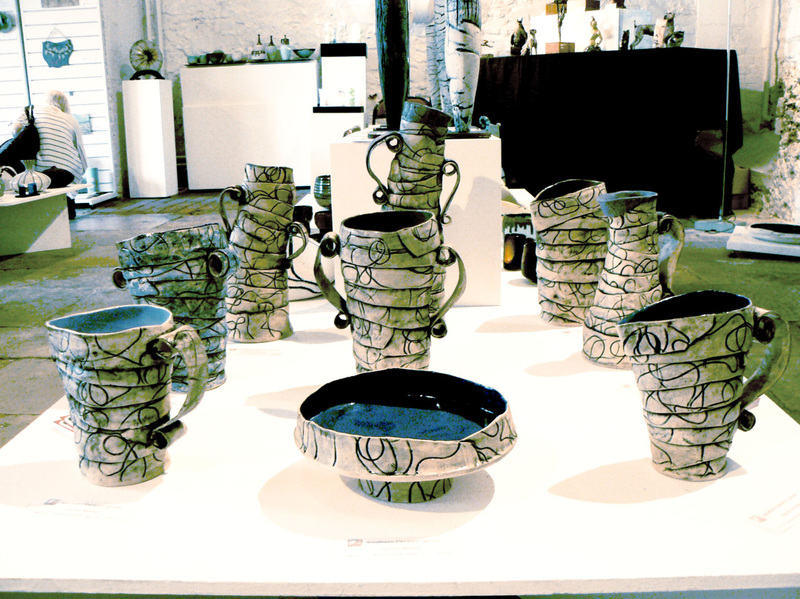 The inside is often, by contrast, smooth and glazed, as are the rims of vessels, and they are fired to stoneware temperatures. 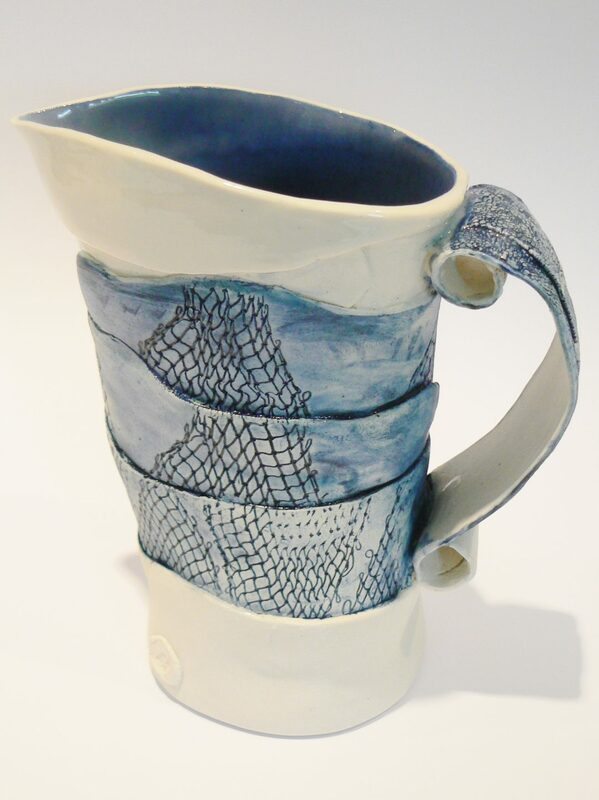 I like to produce sculptural pieces that are also functional. 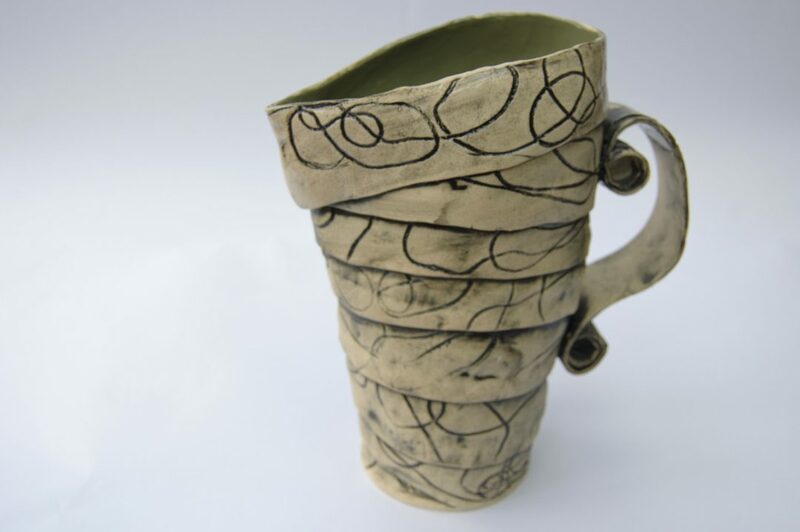 My current pieces are hand built using a cross between coiling and slab building and decorated using coloured clays and slips, stains and oxides and my own glaze recipes. 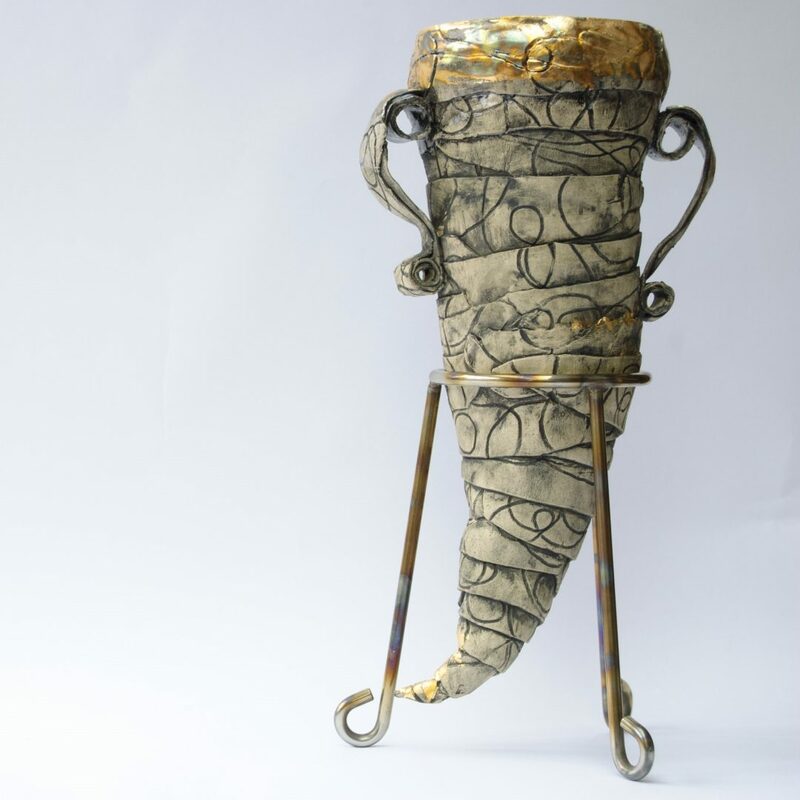 I also sometimes use metal leaf to add a contrasting detail. 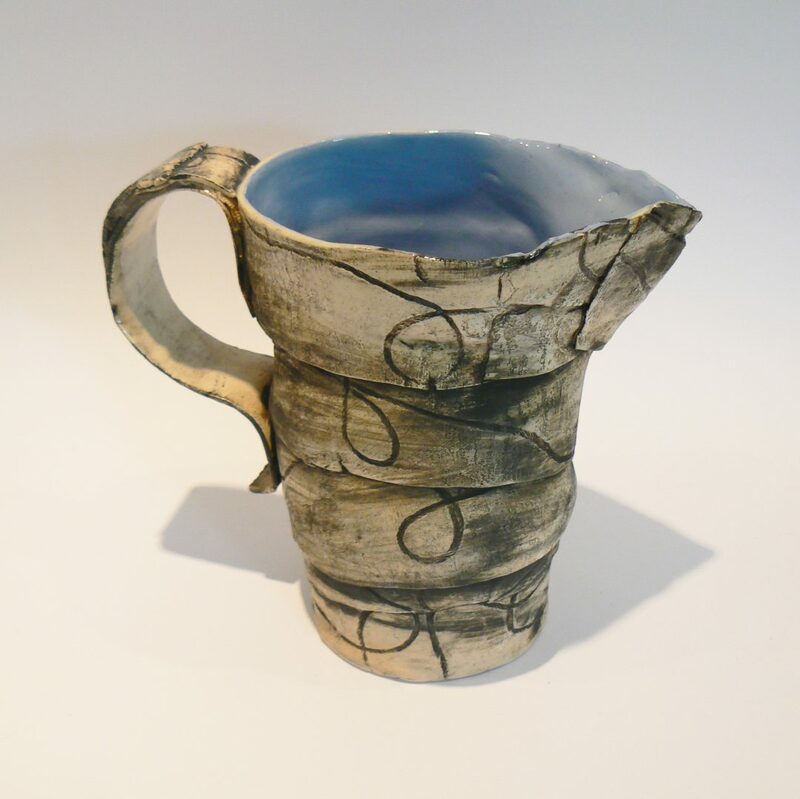 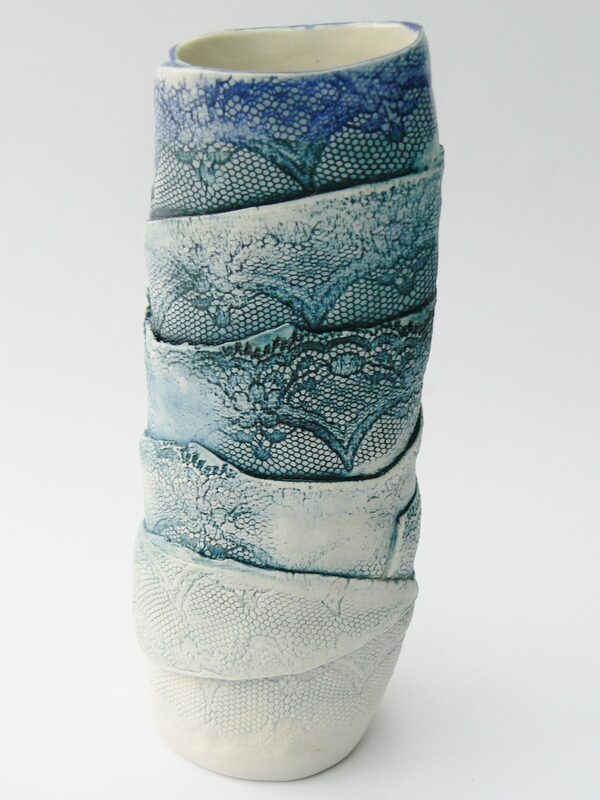 I have worked in ceramics since 1991 after completing a degree at Farnham. 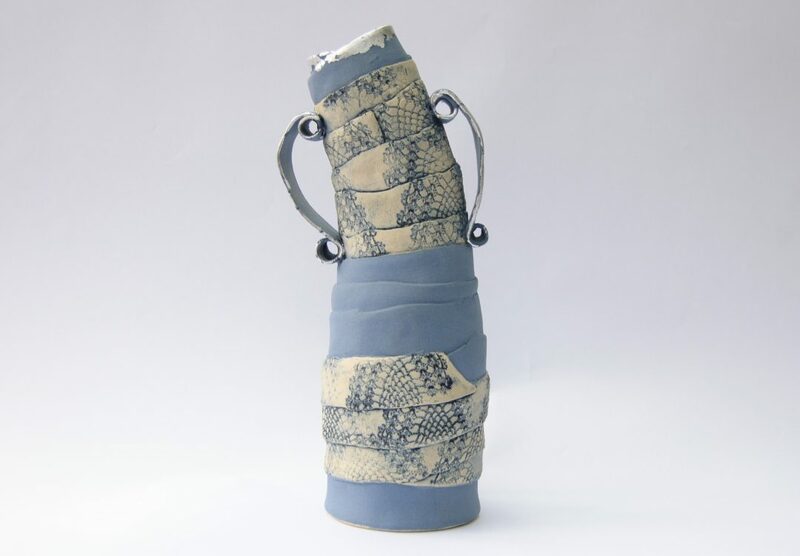 I have since worked as an artist and teacher currently producing my own ceramic work and teaching private ceramics lessons from my studio in Ashurst.